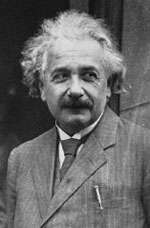 Throughout the years mathematicians and physicists have been finding various solutions to Einstein’s equations. These solutions have helped scientists better understand the nature of our cosmos, as well develop theories about the relationships between space and time. Now two physicists at the University of Waterloo in Waterloo, Ontario, Canada, have developed a new family of solutions to Einstein’s equations — in five dimensions. Richard Clarkson, a recent Ph.D. graduate from Waterloo, and his professor, Robert Mann, developed these solutions while investigating nut-charged solutions in odd dimensions, a project Mann completed with another student, Cris Stelea. The two noticed that in certain limits, the solutions took on interesting new possibilities. Mann pointed out that these soliton solutions are similar to a class called Eguchi-Hanson metrics. Eguchi-Hanson solutions, however, only exist in four spatial dimensions. In Einstein’s equations, Mann explained, a space direction often converts easily into time. Not so with Eguchi-Hanson. Such metrics deal only with space, limiting the physical relevance of the solutions. However, Mann pointed out, the new discovery adds depth to the Eguchi-Hanson metric since the new soliton solutions include a cosmological constant. Broadly, Mann said, these solutions add a further prop to String Theory. A gauge theory involves extra states of very low energy whenever it is formulated on a space with additional topological identifications. String Theory predicts that there should be a gravitational counterpart to this gauge theory phenomenon. Clarkson and Mann’s soliton solutions show that such a counterpart does exist. The new solutions may also add a better understanding of tachyons in String Theory. Tachyons correspond to unstable higher energy states in String Theory. Clarkson and Mann’s solutions are perturbatively the lowest-energy states in their asymptotic class, meaning that the two may have found what could possibly be the ground state for all solitons of this type. Maldecena and Lin conjecture that orbifold solutions in String Theory could decay into these soliton states as tachyons condense. The new Einstein solutions provide a look at how a string structure could connect manifolds of differing topology. While the new soliton solutions are an interesting discovery of themselves, Mann recognizes that these are really starting points.